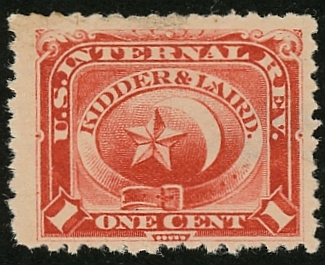 The one-cent Kidder and Laird stamp was printed from June 14, 1881 until March 2, 1883. 1,102,500 were issued on watermarked paper. 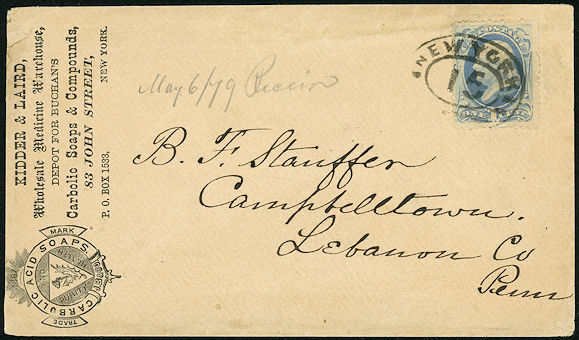 361,200 of the two-cent stamps were issued on watermarked paper, from January 14, 1881 through April 5, 1883. 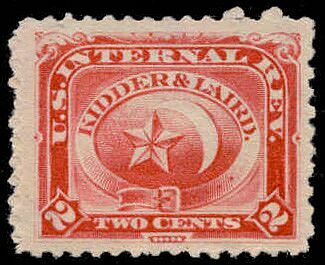 An 1879 cover from Kidder & Laird. At the time, they served as a wholesale medicine warehouse.